No matter how well painted the interior of your home is, if there is a huge hole in your drywall, your property cannot look its best. Although drywall is a wonderfully beautiful and uniform building material, it is susceptible to everyday wear and tear. At RVA City Painters, our contractors are here to help you keep all your interior living spaces exquisitely beautiful with professional drywall repairs in Richmond and the surrounding areas. Our Richmond painting contractors are honored to assist both residential and commercial customers. We understand how important your property is to you and your family. When you trust us with your residence or business, our team will work its hardest to provide you with the highest quality services possible. We will bring this dedication to task for you during your drywall repair project. If you have damaged or unsightly drywall in your Richmond home, call RVA City Painters today. Our polite staff would be happy to take your call and to answer any questions that you may have. We can schedule your appointment today. 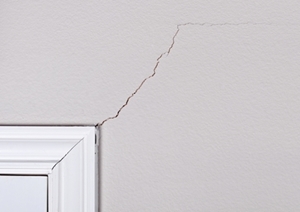 Repairing drywall can be an extremely frustrating process. Trying to patch large holes is extremely difficult without the requisite knowledge, skill, and techniques. Even minor drywall scratches can be hard to make uniform if you don't have the tools or skills for proper drywall patching. Our Richmond drywall repair contractors specialize in these services. As such, we can make handle any sized project large or small. In all of our efforts, we will ensure that your drywall flows seamlessly. In the end, it will look as if the damage had never occurred. You are guaranteed to be completely satisfied with the results. Repairing dryall is only part of the job. After you patch the hole or remove the scratches, you need to make the area look exactly like its surroundings. If you have textured drywall in your residence or business, this feat will be very hard to accomplish on your own. Our Richmond drywall repair contractors have the capability of mudding over seams and applying texture to the repaired area for you. Again, our end goal is to make it seem as if the damage never occurred and as if the repair never took place. In this vein, our drywall experts can help achieve any aesthetic look that you desire. We can remove unsightly popcorn ceilings from your property. We can repaint all of the areas that we work upon. Lastly, our professionals will clean up the entire area. All you need to do is sit back and relax while your drywall is restored to its original beauty. You can count on us for drywall repairs and any other interior painting services in Richmond you may need. If you need drywall repairs in Richmond or the surrounding areas, please call 804-557-4898 or complete our online request form.